We’ve all been there. You wanted to stay up for the season finale of your favorite show, only to awaken on the couch with infomercials trying to sell you some fixer-doer-thing-a-ma-jiggy. It takes a second to shake off the fog of sleep, then you realize that your hands have become numb. As you shake them, the best response you get is a prickly feeling that is neither comforting nor uncomfortable. Numbness in your hands, feet, or both can be bothersome, but it is extremely common and normally not a cause for concern. Most people you know have probably experienced numbness in their hands at least once. Most of the time, it is caused by something simple like pressure on your nerves when you fall asleep. In some cases, numbness in your hands and feet can be caused by more serious issues. 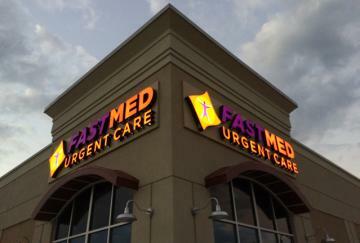 If numbness in your hands or feet becomes a problem, seek medical care at FastMed Urgent Care. Our medical professionals will typically address your symptoms, work to determine a cause, and provide you with the proper treatment options. When Is Numbness in My Hands and Feet a Cause for Concern? Numbness or tingling in your hands and feet is typically caused by pressure placed on your nerves, like when you fall asleep on your arm. However, numbness in the hands and feet might be due to nerve damage caused by more serious conditions, such as diabetes, injuries, or infections. Out of the more serious conditions that can cause nerve damage, diabetes is the most common. Numbness caused by diabetes is called diabetic neuropathy, and it typically starts in your feet and legs, followed by the arms and hands. Diabetic neuropathy is often one of the first signs of diabetes. Diabetes can be diagnosed with a simple blood test. If you are experiencing chronic numbness or tingling in your legs and feet, don’t wait to get care. If left undiagnosed, diabetes can have serious complications. FastMed has on-site labs, enabling us to perform blood work and provide you with results quickly and conveniently. We are open 7 days per week, with extended hours on weekday. For more information on diabetes, visit FastMed’s online medical library.